If you’re planning a trip to Nepal, don’t count on having travel insurance. 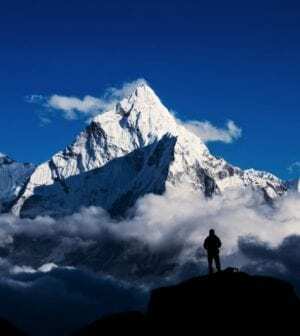 International insurance companies are threatening to end coverage if an avalanche of fraud perpetrated by Mount Everest trek operators, guides, helicopter evacuation companies and hospitals isn’t brought to a halt. They claim a conspiracy to encourage unnecessary evacuations by exaggerating the danger of medical symptoms that routinely occur at high altitudes, resulting in millions of dollars’ worth of potentially fraudulent insurance claims last year. Guides who stand to earn a few hundred dollars for the arduous climbs can earn thousands in kickbacks by pushing for emergency evacuations in mild cases of mountain sickness and other illnesses. Helicopter companies inflate prices for rescues and hospitals overcharge for services. Some trekking companies, which take a percentage of rescue fees from helicopter companies, make more money through evacuations than they do charging for hikes.